Are you feeling overwhelmed this morning? Too many bills and too little money? The kids pulling you every which direction? Relationships going through rough patches? Medical needs? Feel like your prayers are hitting the ceiling and not reaching God? 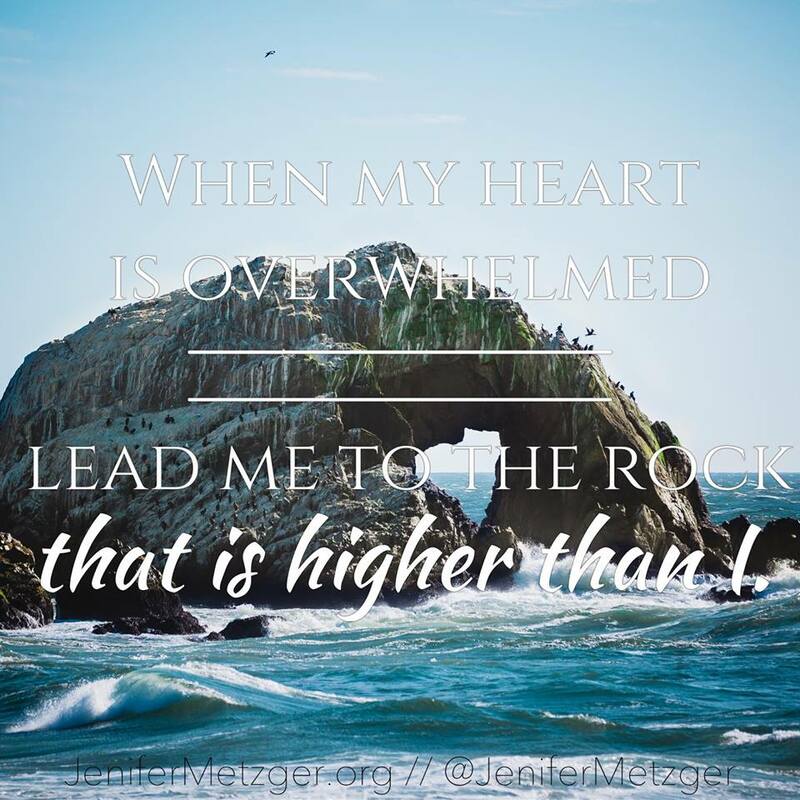 Whatever it is you are facing, whatever is overwhelming your heart, go to the Rock. He is strong. He can handle it far better than we can. Rest on His shoulders. leader me to the Rock that is higher than I.